While in Mexico City, we were fortunate enough to be able to attend a Slow Food event organized by Ruth Alegria, who leads the local Condesa/Roma Convivium. 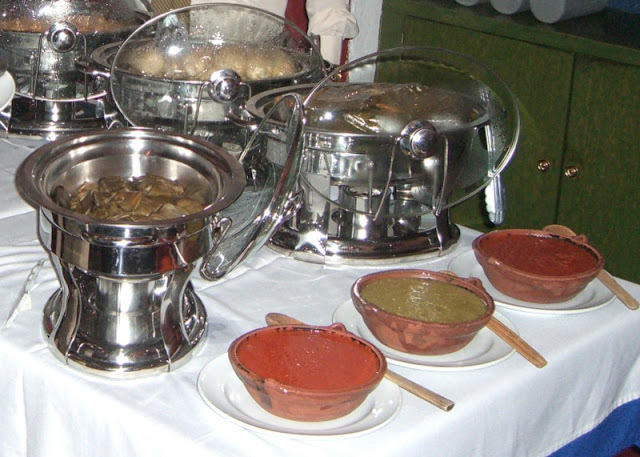 The event showcased seven different types of tamales from different parts of Mexico. The variety of different textures and flavors was fantastic. In addition to more standard versions of red and green salsas, there was a really interesting red salsa that had chorizo added to it. It was fairly spicy, and had great flavor. 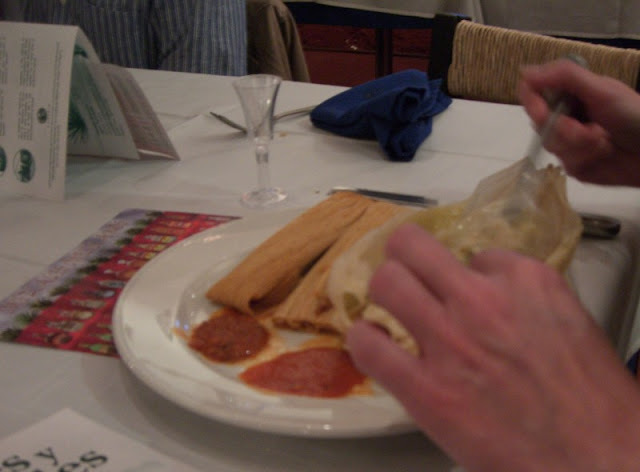 Probably our favorite tamal was one of the corn husk versions, called a "tamal verde". The masa was very soft, having almost the consistency of mashed potatoes. 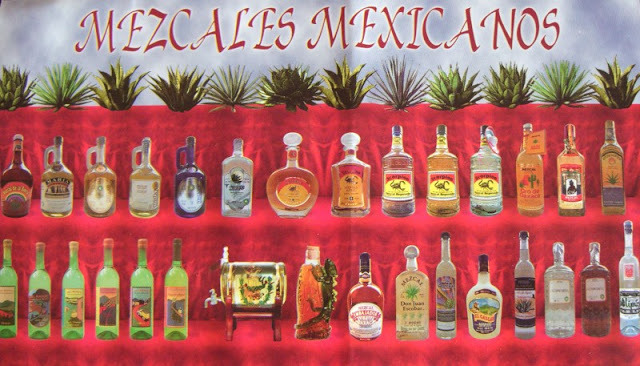 In addition to the tamales, there were a number of mescals on hand for tasting, all of which had quite individual flavors. My favorite mescal of the evening was one from Oaxaca called Tobala. 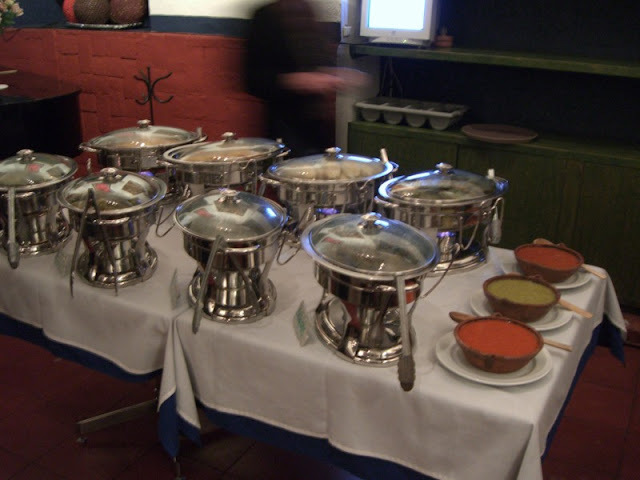 Question - Is there an easy way to keep track of slow food events in Mexico? For mexico city, at least, your best bet is to contact Ruth Alegria (there is a link to her website in the blog post). For other parts of Mexico, I'm not sure.